Terahertz Laser is a high powered laser developed by Massachusetts Institute of Technology for chemical sensing and imaging. 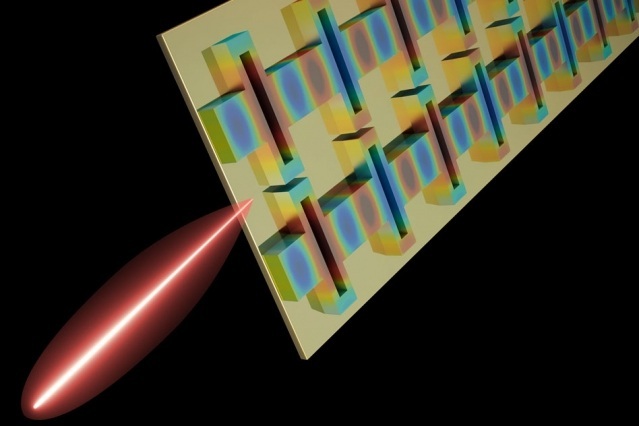 The Terahertz laser designed by the researchers of MIT, has three goals which includes high constant power, tight beam pattern and broad electric frequency tuning. NASA has chosen the Terahertz laser for its 2021 mission to study more about our galaxy’s origin. With the help of a high altitude, balloon based telescope carrying photonic wire lasers, they will detect emission of gases like oxygen, nitrogen and carbon from the interstellar medium, which is the material between the galaxy’s star systems. The Terahertz laser could also be used for skin and breast cancer imaging, detection of drugs and explosives and many other applications. The design of the Terahertz laser is unique which uses pairs of efficient wire lasers and sync their oscillations. On combining the output of the pairs there will be a single, high power beam with minimum beam divergence, which is the angle the beam moves away from its focus over distance. The individual paired lasers can be fine-tuned to obtain improvements in resolution and fidelity in measurements. All these give rise to less noise and higher resolution in order to achieve more cost effective and reliable chemical detection and medical imaging. In the past, people have made a laser with high beam quality or with high continuous wave power or have done frequency tuning in lasers. But all the designs have one of the factors lacking. Ali Khalatpour, a graduate student in electrical engineering and computer science, who is also the author on the paper describing the Terahertz laser in Nature Photonics says that this is the first time where all three metrics are present in the chip-based Terahertz laser. NASA will be using the Terahertz laser for its 2021 mission to detect gas emissions from the interstellar medium. By procuring data over a few months, they will get insight into the birth of the star and evolution. They will get more knowledge of the Milky Way and the Large Magellanic Cloud Galaxies which are close by. 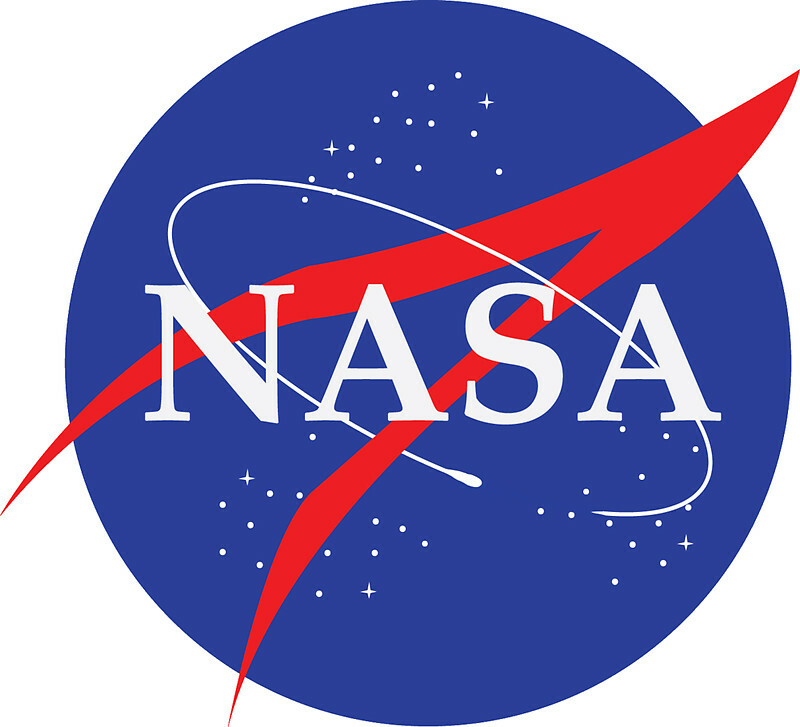 NASA selected a new semiconductor based terahertz laser which is suitable for spectroscopic measurement of oxygen concentrations in terahertz radiation. It is a band of electromagnetic spectrum between microwaves and visible light. Researchers had developed new types of quantum cascade lasers known as photonic wire lasers. These were bidirectional and hence less powerful. This issue was sorted out by placing mirrors within the laser’s body. Since the terahertz radiation is too long, and the terahertz laser is small, it was difficult to fix it within the laser so much so most of the light travels outside the laser’s body. In the laser that NASA selected they developed a design to control how the electromagnetic wave travels along the laser and emit in one direction. They were able to obtain high efficiency and beam quality, but it did not allow for frequency tuning. 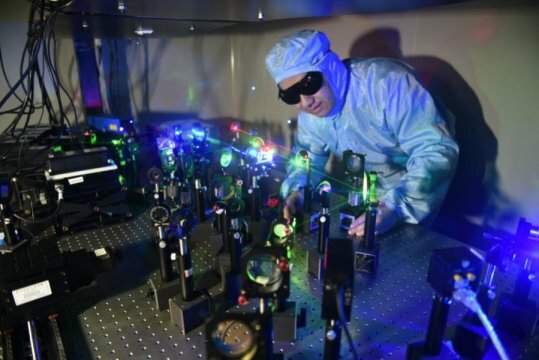 To overcome this, the researchers applied the concept of pi-bonding to the lasers, enabling close connections between the wire lasers. This coupling allowed phase locking of two or more wire lasers. 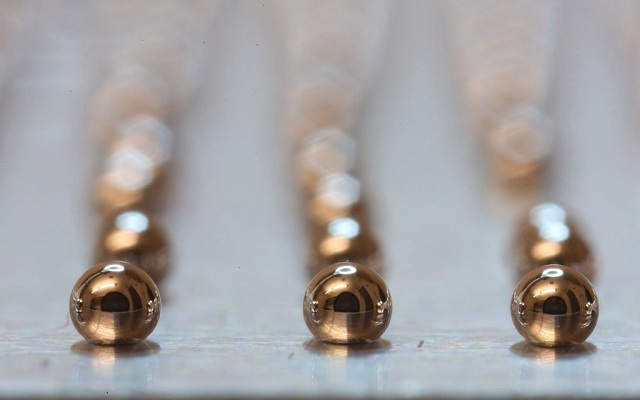 To obtain frequency tuning, they used tiny knobs to alter the current of each wire laser, which changes the refractive index. This change in refractive index together with coupled lasers, gives rise to a continuous frequency shift to the pair’s center frequency. The researchers are building a system with a high dynamic range of more than 110 decibels which can be used for many applications including skin cancer imaging. Since skin cancer cells absorb terahertz waves more strongly than healthy cells, the terahertz lasers will be able to detect them. With terahertz lasers having the three performance metrics, they can improve imaging capabilities and can be used in other applications. Remember the good old days when you had to send a handwritten letter in order to communicate with your best friend who lived two counties away? Or better yet, remember when you picked up a landline and could hear someone else's conversation taking place? If you remember the first scenario but not the second, you're a millennial. If you remember neither scenarios, you're Gen Y. If you remember both scenarios, you're likely thankful for technology. Technology today has made it easier than ever for the world to stay connected. Not only that, it has made it less expensive than ever before. For instance, to place a long distance call on a landline would cost homeowners anywhere from $.05 to $1.40 per minute. "Long distance" in this instance, however, isn't what it means today—it meant the next town over, or anything out of a defined local calling code. For many people, talking with friends, family members, or acquaintances was an expensive endeavor—that is, if they didn't keep their calls short enough. 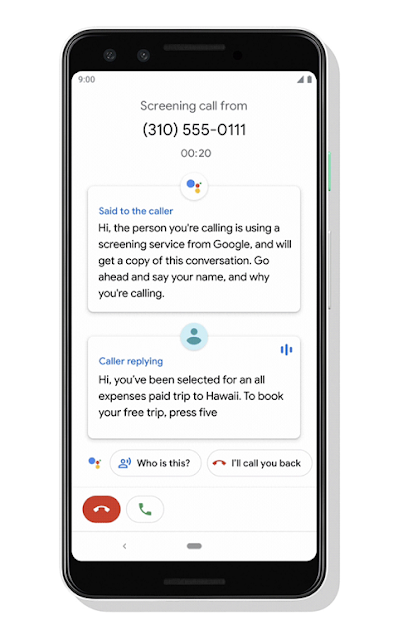 Today, thanks to advancements in technology such as Skype, cloud calling, and switches (conmutadores for our Spanish readers), individuals can connect with others from towns, cities, states, or even countries over, without fear of racking up a huge bill. Below are just two ways in which technology has made staying in touch so much easier. Before the advent of vehicles, letters would take approximately 14 days to reach their final destinations. With the advent of vehicles, that timeframe was significantly shortened, and individuals could relay a message in as little as two to three days. From a pioneer's perspective, that's unthinkable; from a modern person's perspective, that's unacceptable. Thanks to platforms such as Facebook, SnapChat, Instagram, and email, people today can communicate back and forth via text within a matter of seconds. Of course, text messaging should not be ignored. Text was one of the first modern modes of communication, and it has changed the communication game forever. 10 or even five years ago, if you used the term "cloud," most people would assume you were talking about those fluffy white cotton balls in the atmosphere. Today, however, the term "cloud" has taken on a whole new meaning. Cloud simply refers to something hosted on the internet. Oftentimes, that something is storage, but a lesser known use for the cloud is calling. Cloud calling allows anyone with an internet access to place a phone call, for free. This makes it easy for individuals who don't have great cell service, who don't have access to a cell phone, or who simply want to place a call from their workstation, to communicate with others. As if that's not benefit enough, cloud-based phone systems allow individuals to meet face-to-face without ever actually meeting in person. Platforms such as Skype and FaceTime use a computer or device's forward-facing camera to allow face-to-face interaction between parties who are in separate rooms, cities, or countries. Again, cloud-based platforms allow individuals to do all this gratis. Technology has changed the communication game for the better. Thanks to technological advancements, humans can communicate in a matter of seconds and for pennies on the dollar—or, in the case of cloud calling, for free. The internet is a place of adventure and excitement! It allows us to connect with anyone, anywhere in the world, at any time. It has also made doing business a lot more exciting. Just a few decades ago, businesses were relegated to serving customers in their immediate area. Today, businesses can sell their goods across the globe, making more money than they ever thought possible! However, for as exciting as the internet is, it also comes with loads of responsibility. That’s especially the case if you’re a business that wants to stay safe online and keep its customers safe online as well. With these tips, you can confidently build your presence online without worrying about the security of your company or the safety of your clients and customers. 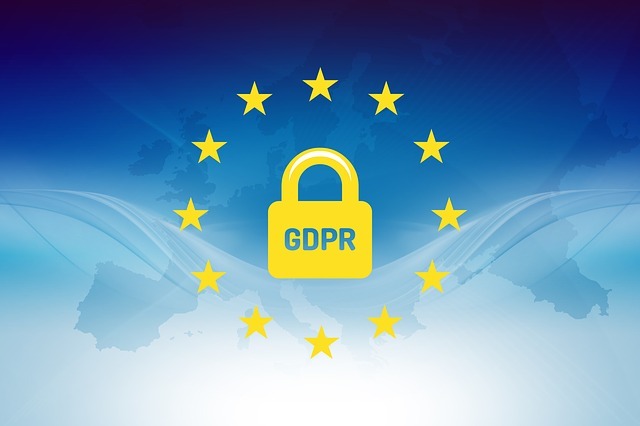 Based on those answers, you can, "determine which of them your enterprise is in compliance with and where it falls short, and what you must do to reach compliance." The wrong logins can make your business susceptible to hackers. That means sensitive company information could be stolen, but it also means your customers’ information can be stolen too. It also means being careful about who in the company has access to what information. Only provide access to essential information and lock down the rest so you don’t have to worry about a leak from the inside either. There are a lot of great tips out there about how to create a fantastic ecommerce website. By following those tips, you can literally build a customer base that spans the entire globe. However, it’s ecommerce that can cause the most security problems. After all, people are giving you their personal information for your product or service! That’s why you have to be careful about establishing and maintaining an ecommerce site. Only ask for information from customers that is absolutely necessary to complete a transaction. Follow ecommerce best practices and consider not storing any payment information to protect yourself and your customers from fraud. Malware and viruses are a real threat to your business too. It isn’t just hackers! That’s why it’s important to keep your security software current. Downloadable programs make this easier than ever, but there are some other things you should do to protect your computer and your database. Update everything in a timely manner. That includes security software, but it also includes browser and operating system updates. You may also want to consider additional programs, like ad blockers, that can keep you safe from a wide variety of threats. The best approach to security is definitely one that includes many different techniques and methods to keep both your business and your customers safe. Sometimes, you’re at fault when it comes to compromising the safety of your business or your customers. Don’t be too hard on yourself though. Scammers can be tricky! When in doubt, it’s always a good policy to throw it out. Falling for a scam could mean losing control of important company information, and it can also mean your customers have to deal with drained bank accounts. Online safety is about more than just keeping your business safe—it means keeping your customers safe too! With these tips, you can confidently do both so your company remains successful for many years to come. Atomically thin magnetic devices could pave the way for new technologies in the field of cloud computing and consumer electronics. The modern digital technologies are made of magnetic materials. There has been a breakthrough by a team from the University of Washington in encoding data using magnets which are a few layers of atoms in thickness. This will be a leap forward in cloud computing technology and consumer electronics whereby data storage can be increased and there will be great improvements in energy efficiency. According to reports that appeared in the ‘Science’ journal, there was a study conducted by researchers wherein they used very thin materials to control the electron flow based on the direction of their spins. The electronic spins are comparable with tiny subatomic magnets. Sheets of chromium tri-iodide (CrI3), a material considered as a 2-D magnetic insulator were used in the materials. They used four sheets and each sheet was only atoms thick. 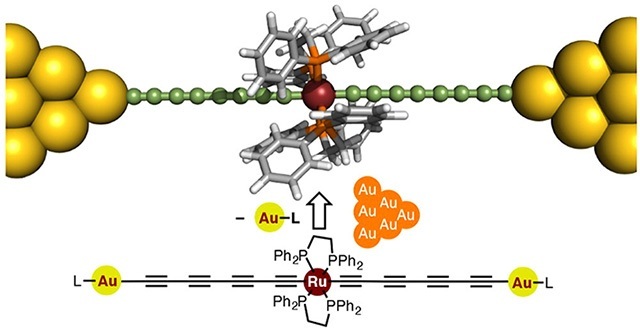 It created an atomically thin magnetic system that could block electrons based on their spins and at the same time exerted 10 times stronger control than the other methods. 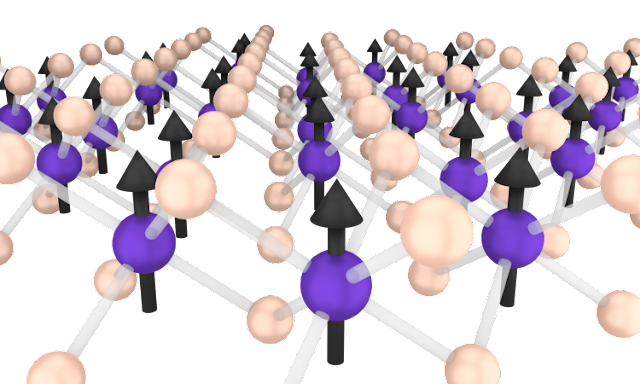 This created a possibility of storing data on atomically thin magnets. The team was able to electrically control the magnetic properties of the atomically thin magnet. 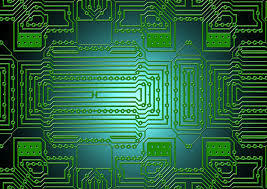 The main challenge is to increase data storage and at the same time reduce the operation energy. The team is finding out how the atomically thin magnet could increase memory storage by taking advantage of the electron spins in each individual sheet. The researchers are looking at the possibility of achieving an increase in memory storage and reduction in operation energy. They are looking at ways of engineering atomically thin magnetic memory devices with lesser amount of energy consumption than what is presently achievable. Two layers of CrI3 were sandwiched between the conducting sheets of graphene. Based on the spin alignment between the CrI3 sheets, there are two possibilities. One is the electrons can flow unimpeded between the graphene sheets or they can be blocked from flowing. These two possibilities could act as bits of the binary code for encoding data. They could act as the bits – zeroes and ones. The operational units of this type of memory are magnetic tunnel junctions (MTJ) or magnetic gates that can either impede or allow the flow of electrical current depending on the spin alignment in the junction. This magnetic gate helps to figure out the data storage on a small scale. With four layers of CrI3 in the atomically thin magnet, the researchers discovered the possibility for multi-bit information storage. If we consider two CrI3 layers the spins are either in the same direction or in the opposite direction. This gives rise to two different rates for the electrons to flow through the magnetic gate. When there are three or four CrI3 layers, there is a possibility of different combinations for the spin alignment between each layer giving rise to multiple, distinct rates for the electrons to flow through the atomically thin magnetic material from from graphene sheet to the next. This enables the storage devices to have not only two choices but many more choices to store data. Thus the atomically thin magnetic devices that use the CrI3 junctions will be more efficient and will be able to store more data. The human brain has the potential of performing a wide range of activities most of which does not need much effort, for instance in conveying if a visual extract comprises of buildings, or animals. In order to perform this activity the artificial neural networks needs vigilant strategy from professions with several years of complex research, addressing each particular task in discovering what lies in an image, to name it a genetic variant or to assist in diagnosing a disease. One would prefer having an automated system of generating the precise architecture for any particular task. One of the methods of generating the architectures is by way of utilising evolutionary processes. Old research for neuro-evolution of topologies had laid the foundation which enabled the application of these processes at scale, presently. Several of the groups have been operating on the subject inclusive of OpenAI, Uber Labs, and Sentient Labs together with DeepMind. Google Brain team certainly had been discerning about AutoML too. Besides utilising learning based approaches it was also speculated on the use of computational resources to programmatically evolve image classifiers at exceptional scale.Queries addressed were: `Could we accomplish solutions with minimal expert participation? 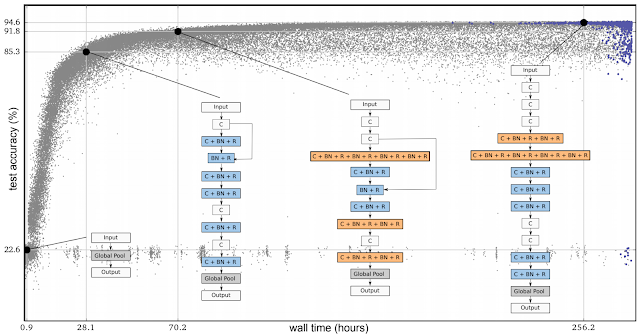 How good can artificially-evolved neural networks be at present? The purpose was to enable evolution at scale function on constructing the architecture. The procedure found classifiers similar to hand made models at that point of time, beginning from the simple networks. This was inspiring since several applications needed minimum participation. For instance some would require improved model though could not have the time in being a machine learning professionals. The next query that came up was,would a combination of hand-made and evolution perform better than any of these approaches. In a recent paper `Regularized Evolution for Image Classifier Architecture Search (2018) participation took place with the provision of sophisticated building blocks together with good initial conditions. Scaling of computation had been done utilising the new TPUv2chips of Google. With the combination of up-to-date hardware, skilful knowledge together with evolution the result produced state-of-the-art models on well-known benchmarks for classification of images namely CIFAR-10 and ImageNet. In the paper besides evolving the architecture, at the time of exploring the search space of early condition as well as the learning rate schedules, the population trains its networks. This consequence is that the development with enhanced hyper parameters producedentirely skilled models. When the experiments tend to begin, no professional input is essential. The second paper `Regularized Evolution for Image Classifier Architecture Search offered effects of applying evolutionary systems to search space. Mutations tend to adapt the cell by erratically reconnecting the inputs or switching the operations. Though the mutation tends to be simple, the initial conditions are not. The population tends to get modified with models which tend to adapt to the outer stack of cells.However if the cells in such seed model tend to be unsystematic, there will be no beginning from simple model that eventually would make it simpler to obtain excellent models. The paper has portrayed that evolution can locate state-of-the-art models which could compete or outdo hand-designs. Data generation in this age is quadrupling with each passing day and we are unable to store or manage the mammoth amount of data at our disposal. Therefore finding an alternative which enables us to store data at longer period of time with great stability has become a critical necessity. Now researchers from Northeast Normal University in China has developed new nanoparticle films which are 80 times thinner than the human hair but can easily help in high density data storage. 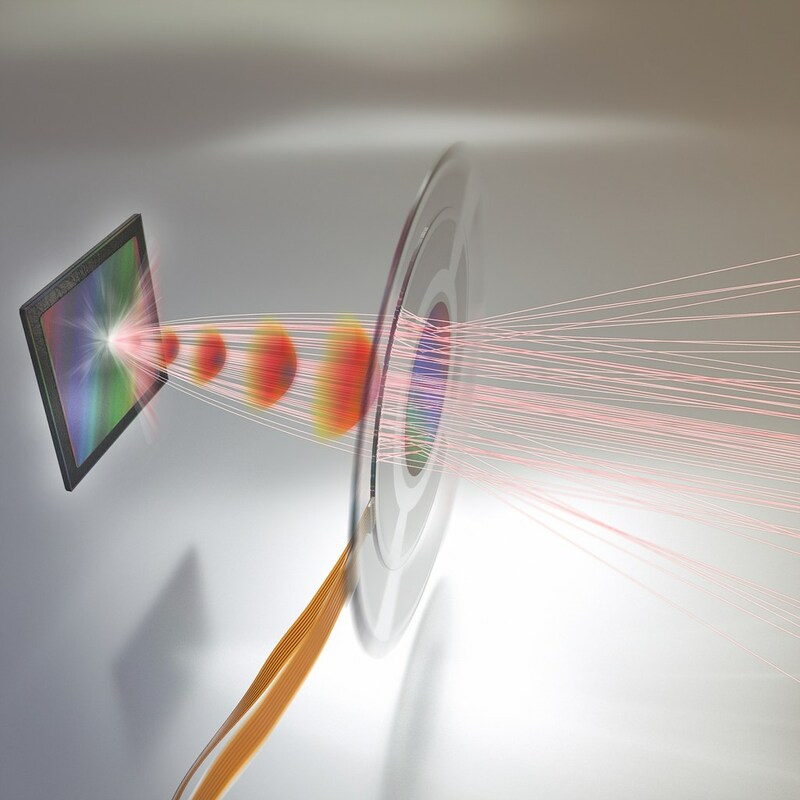 Researchers have asserted that these nanoparticle films can easily archive more than 1000 times worth of data than the traditional DVD on just a 10 by 10 centimeter large piece of film. It is a remarkable technology and we are likely to see it being used in the wearable devices in the short time. These nanoparticle films can also store the 3D images of the objects or people which can viewed as a 3D hologram with natural realistic and in-depth details later on. These nanoparticle films can be used in the regular devices and the storage medium developed by its usage is also environmentally stable which means used in the outside condition or can even be utilized in the space conditions where harmful radiations are the way of life. This new kind of nanoparticle films has been designed specifically for the new age holographic data storage. This data storage hasn't found much support or recognition so of today as it makes use of the laser to create as well as read the 3-D holographic recreation of the data present on the nanoparticle films. It is blazing fast with the ability to write as well as read millions of bits at once which makes the holographic data storage way ahead of its traditional counterparts. The traditional counterpart are namely the optic and magnetic data storage system which happens to record and read just individual bits at a time with is both time consuming and extremely slow when it comes to huge amount of data. Holographic approach in the high density data storage allows researchers to record information throughout the 3D volume of the entire naoparticle materials. Herein data is not just recorded on the surface but it also researchers to record multiple data or images in the same given area by simply using the light at varied angles and using different colours. Researchers are also working on recoding holographic images on the titania silver films in order to get the similar performance with lesser effort and higher stability. At the moment researchers are aggressively planning to test the environmental stability of these nanoparticle films in order to ensure quick and safe real life application of the same in the upcoming days. It will certainly help in removing the data storage woes of millions of users worldwide with simple and easier application. According to the news that has been published in the journal ‘Nature’, engineers based at the University of Illinois have shown that a new form of electronic matter exists. It is called quadrupole topological insulators (QTI). The properties exhibited by this electronic matter, QTI could bring about a wide range of possibilities in the computer field. It holds great promise in the manufacturing of low-power, robust computers and various devices, that are all defined at the atomic scale. The topological insulators (TI) are basically electrical insulators on the inside but are conductors along the boundaries. This unique property exhibited by the topological insulators makes them a special type of electronic matter. A group of electrons form their own phases within the materials. This can be either in the solid, liquid and gas phase, as is seen in water. They can also form an uncommon phase like a topological insulator. What is this new phase of Electronic Matter? The new form of electronic matter is the Quadrupole Topological Insulator. According to theoretical physics, some of the topological insulators have an electrical property known as quadrupole moment. As we see in a material, the electrons carry a charge. In the process, the material becomes bipolar, that is it contains the positive as well as the negative charge. Now, in a higher order class of material, we get a quadrupole which is a coupling of two positive and two negative charges. In crystals, the electrons can arrange themselves in such a way that they can give rise to high-order multipoles besides the usual dipole units. In the case of multipoles, four or eight charges are collectively arranged in a unit. The basic forms of multipoles are the quadrupoles wherein two positive and two negative charges are coupled together in a unit. 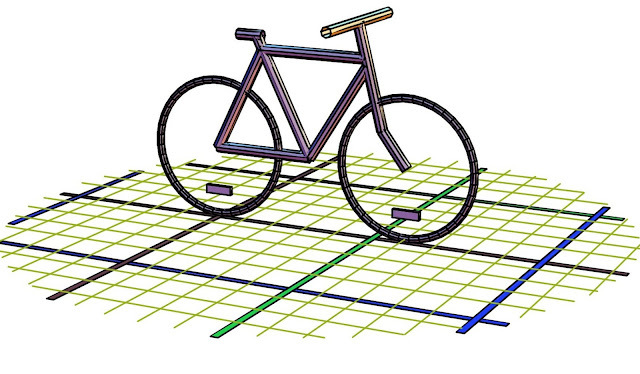 An analog of a QTI was shown by the researchers of the University of Illinois. 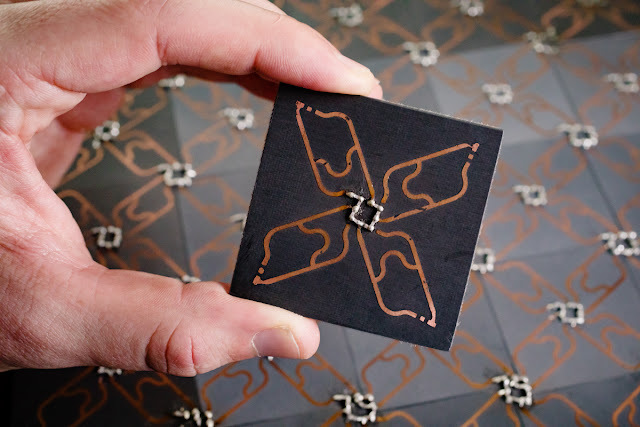 They demonstrated it by using a special material from printed circuit boards. Each circuit has a square of four identical resonators or devices that can absorb electromagnetic radiation at a particular frequency. The boards were positioned in a grid to form the crystal analog. Each of these resonators behaves like an atom and the connections between the resonators act as bonds between these atoms. The system is then subjected to microwave radiation to measure the amount that has been absorbed by each of the resonators. This in turn will indicate the behavior of the electrons in an analogous crystal. If the microwave radiation absorbed by a resonator is more, then there are higher chances of finding an electron on the corresponding atom. In the above experiment it was inferred that the corners of the connected resonators absorbed the microwave radiation at a specific frequency whereas the rest of the units did not do so. The researchers then separated the bottom row from the grid and on subjecting it to the microwave radiation, it was noticed that the next highest rows showed the topological effects on absorbing the radiation. They concluded that the edges of a QTI are not conductive unlike that seen in a TI. It was only the corners which are active and they correspond to the four localized point charges that form the quadrupole moment. On measuring the amount of microwave radiation each of the resonators absorbed in the QTI, it was confirmed that the resonant states was in a particular frequency range and localized in the four corners. This shows the existence of predicted protected states that would be filled up by electrons that would in turn form four corner charges. With the experiment conducted, scientists are beginning to understand the possibilities of the new electronic matter and its application. As of now, the physicists can predict that the new form of electronic matter exists, but no material has been found to have these properties. International Space Station needs a consistent of supply of essential equipment and food supplies from the earth. Earlier Elon Musk’s SpaceX played a vital role in delivering supplies to the ISS but now even IBM is in the same fray. 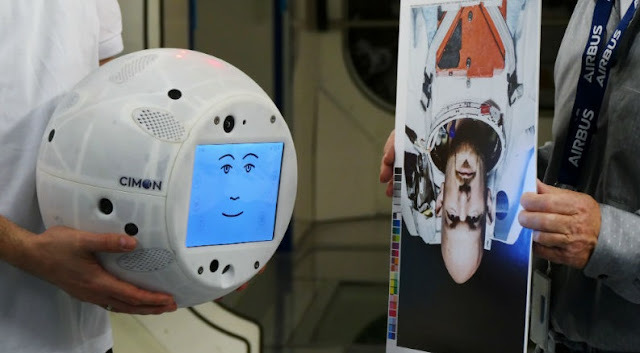 IBM is aiming towards delivering a very unusual eleven pound robot head to the International Space Station using a device called IBM Cimon or the Crew Interactive Mobile Companion. IBM Cimon is powered by company's popular supercomputer Watson. But IBM is utilizing it in a different manner which enables to embark on a unique mission to the International Space Station. Earlier IBM has used the Watson technology to run a number of crystal experiments as well as solving the Rubik's Cube. IBM is working closely with a German Astronaut named Alexander Gerst in order to use the IBM Cimon to perform variety of tasks like conducting complex medical experiment just using the on-board camera. IBM Cimon isn't just every tech piece rather the company wishes to establish it as a reliable companion for the astronaut in the space which can do a number of tasks on its own or with little guidance from the astronauts. With IBM Cimon astronauts will be able to get a number of prescribed tasks done with effortless co-ordination on the space station. Secondly IBM Cimon will also act as a safetyimprovement device by giving out timely warning of any impending failure. It will be smart and intuitive enough to find the failure even before it is shown on the astronauts control boards. As IBM Cimon is backed with the AI technology this device can literally act as the first space assistant which will be beneficial for the astronauts working on the International Space Station.The use of technology in IBM Cimon allows it to possess speech, text and other image processing capabilities. Secondly it will be smart enough to retrieve certain specific information and finding when needed to offer valuable insight in time of need. Thirdly astronauts will be able to teach a number of skills to the IBM Cimon individually thereby enhancing it application. IBM is essentially making use of the Watson speech and vision technologies in order to make CIMON recognize and understand the different voice sample with perfection. Visual Recognition of Watson is employed to understand as well as learn the construction of plans of the Columbus module of the International Space Station. As IBM Cimon will be deployed at the International Space Station it is necessary that it understand its layout so it can move around with ease and simplicity. Astronauts have even taught him a number of procedures which is ought tobe carried out by him in connection with the on-board experiments. IBM Cimon shows that the science fiction wouldn't be a fiction anymore as we move towards creating intelligent robots to assist astronauts in space. To make possible astronauts on the ship the International Space Station (ISS) to study biological samples without transferring them back to our planet, NASA scientists, together with an of Indian scientist, are budding 3D printable apparatus that can hold liquids such as blood biological samples with no spill out into micro-gravity. To understand, how to have an effect on team physical condition, how to formulate an enduring role to Mars furthermore afar, NASA told on 8 February. The innovative NASA’s mission, known as Omics in Space, plans to build up expertise to cram "omics" - in microbiology that are imperative to the health of humans. Omics comprises of exploration hooked on genome, microbiomes as well as proteomes. NASA has by now deliberated omics by way of attempts such as the Microbial trailing 1 research that check up microbial multiplicity lying on the space station. However there is no method to route biological samples lying on the station, thus they enclose to be propel down to globe. It may possibly be months between the moment biological samples are taken as well as an examination is done, told Kasthuri Venkateswaran of NASA's (JPL) in Pasadena, California, and chief researcher meant for the Omics in Space mission. He is a former pupil of Annamalai University in Tamil Nadu, told: This mission intends to widen an programmed structure meant for learn molecular biology by means of least team intercession. This researcher proclaimed that this is one of the major achievements in microgravity. Astronauts amass a range of biological samples, takes account of their own saliva as well as blood, and microbes washed down from the hedges of the ISS. These biological samples could subsequently be jumble through water. Exclusive of the suitable apparatus, biological samples can dribble, glide or else structure air bubbles that could conciliate consequences. Two years ago, NASA obtains a huge leap through progressive DNA hooked on space meant for the initial time. Astronauts make use of a small, hand-held succession utensil known as the MinION, founded by Oxford Nanopore Technologies. It is a corporation having its head office at Oxford, England. NASA told the Space mission tactics to put up this sensation by means of budding a programmed DNA / RNA extractor that may put in order biological samples intended for a MinION apparatus. A significant component of this extractor is a 3D printable synthetic sealed unit required to haul out nucleic acids from the biological samples intended for the Minion progression. Camilla Urbaniak, a Postdoctoral investigator on JPL in addition to co-investigator on Omics in Space, told this has been checked on our Planet. "We are obtaining what is on our planet to study DNA along with uniting the entire rung hooked on an programmed method," Urbaniak told. "What is innovative is a single stop store that could haul out and route the entire of these biological samples," Urbaniak said. With the progress in technology it is not surprising to see children engaged in deviceswhich have turnedthem into screen addiction. Though the approach of making them to start at an early age has been criticised by paediatric experts and adolescent researchers, several of the apps made available for download for children below five years of age in the Apple app store has shown that many parents as well as app developers have been ignoring the warnings with regards to the devices. 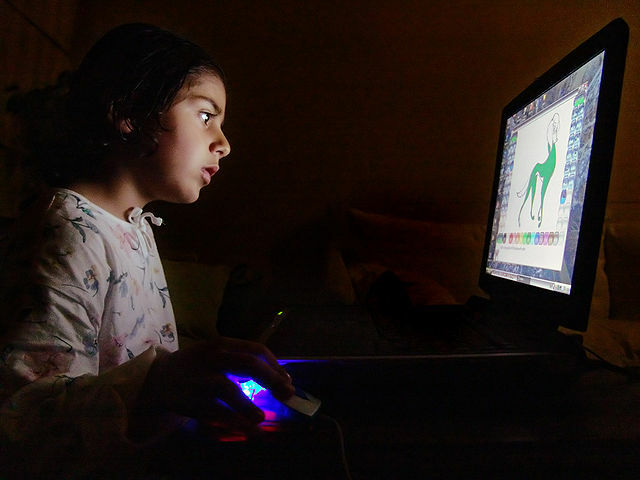 This exposure to screens for children comprising of video games, televisions, computers and tablets could be the reason for the addition trend which has been increasing – screen addiction. While this possibility has been considered by parents in the past by asking `how much screen time is too much? It seems that they had phrased the query wrongly. As per a latest research published in the journal Psychology of Popular Media Culture, how children utilise the devices not on how much time they tend to spend on them, seems the strongest predictor of emotional or social issue lined with screen addiction’. Actually it does not really matter if a child tends to spend an hour or five, gazing at a screen, but would not suggest five hours duration. According to the new study there is more to it than the number of hours spent with the screen. What really matters whether usage of screen tends to cause issues in the other areas of life or it has become an all-consuming activity. Now the query lies in how precisely could one tell if the child is addicted to screens. One needs to identify the warning signs like – should the screen time interfere with the daily activities, tends to cause conflict for the child or in the family or seems to be the only activity which brings some happiness to the child. these gestures are displayed by the child, it could be essential to take action since screen addiction is connected to issues related to relationships, emotion and conduct. However considering it from the positive side, it could be most likely alright to keep them entertained with games on iPad for some time. The television has been replaced by tablets and phone in soothing the children and keeping them busy. For instance, it has been revealed that one out of three kids tend to utilise gadgets much before they can even speak. Kids utilising these devices at their tender age could have a substantial effect on the mental health of these toddlers. Dr Richard Graham, London-based Consultant Adolescent Psychiatrist and Clinical Psychologist Dr Jay Watts have stated that technology addiction could have an influence on the behaviour and sleeping pattern of a child. Five signs had been highlighted in an interview with MailOnline stating that one should observe if the child seems to be hooked. Moreover they had also emphasized on the importance of taking a digital detox in order to resolve the obsession. Dr Graham from the Capio Nightingale Hospital which is a mental health hospital located in central London had commented that when people tend to feel an uncomfortable sense of withdrawal when they are not online, is a known fact that the relationship with technology is not handled in a proper manner. Dr Watts added that parents presently tend to struggle with understanding how crucial social media is to the present generation, the modern day playground is virtual. He added that when electronic devices began to have more importance over behaviour than anyone else or thing and when children seemed to get upset when they were deprived of the technology, it is at that point of time that one needs to begin changing things. In the case of children the main issue is about the way they tend to get addicted to technology and the way they feel when using it. Those kids who tend to portray any indications of severe distress and agitation when deprived of the technology could be considered as unhealthy dependency. It could be somewhat a condition similar to a drug user and this unhealthy dependency could mean that the child gets agitated when they are deprived on the use of technology. Dr Graham clarifies that the addiction could be apparent itself in other behaviour pattern. The influence of technology could affect the sleeping pattern of the child; interfere with meal times together with eating habits making the youngster to act up during play time. Dr Graham further stated that addicted children could also tend to be secretive as well as defensive regarding their devices and the usage of them and also debate with parents on a regular basis. Moreover, children addicted to technology could also refrain or ignore real-life activities, refusing to go to locations where they would not be in a position to use their devices like the cinema.Dr Watts mentioned that it is quite guaranteed that parents are under the misconception that their kid has been spending much time on smartphone or online. The main concern is to talk to other parents at school or to observe if a child is more preoccupied than the others. If there seems to be a real difference, one needs to speak to the child regarding cybersafety but also study what could be on the mind of the child which could be addictive within and how this addiction could be helpful in avoiding in the real world. It seems essential to restrict the children on the time spend on the usage of technology in order to prevent the formation of unhealthy dependence according to Dr Graham. Techniques comprises of ensuring prolonged periods wherein the youngsters are absorbed on the `real world’ and play time with the other kids. Forming a determined routine time allowance could be an excellent place to begin with. It could also be essential to ensure that adults switch off their phone or keep it on silent mode while having meals and while spending quality time with family and friends since examples given by the parents could be fruitful and meaningful. 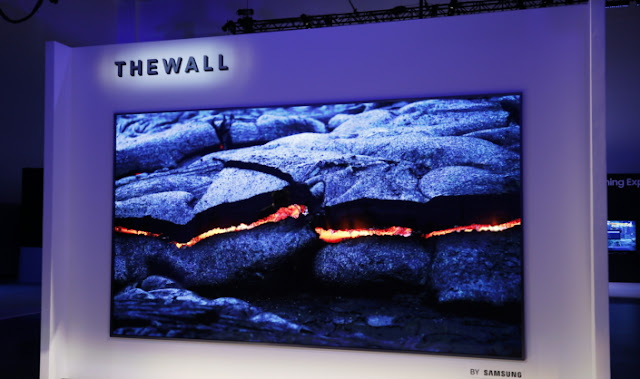 One of the products that would stop you in your tracks this time around in the CES is Samsung’s The Wall TV. This has merely nothing to do with its 146 inch size but also it’s amazing quality of images which is bound to stop anyone and draw their attention. The Wall’s rich colors, insanely bright pictures and sharp images puts any other Television out there as a mere screen with nothing much to offer. For some you see one Television you feel like you’ve seen them all. I mean what more can a TV offer? Well Samsung has proved that a TV can do much more with it’s “The Wall”. The Wall’s micro led feature, as Samsung like to call this new form of tech, is something that separates this TV from the rest. Micro led or in other words self –emissive LCD is a tech where 3840 by 2160 liquid crystals all generate their own color and light. What separates the Wall from the rest is that there are no longer pixels that have to share a light emitting from an external backlight. Ok you might say that OLED can already do this but with the Wall and micro led tech, the bright pixels and dark pixels go together without any bleed and what’s more is that the colors are even more brighter and vibrant with the micro LED tech than what any OLED TV would be able to achieve. Coming to the screen itself in The Wall, is not actually a single screen but rows and rows of pixel blocks that come together in a way that can be used in screens of any size maybe even bigger than 146 inches. One of the main concerns when looking at the wall at close range is that you would notice the seams in the pixel blocks when a darker picture is shown. While from far there is not much you can see by way of the seams, the closer and darker the picture gets you can see through the seams in the so called modular design. Brighter imagery again covers up those seams. Another issue that comes to mind when looking at the The Wall screen is that it’s lesser than smooth finish slightly reflects light from surrounding areas. The next issue is the price, having a screen with micro led tech and a whole other lot going on is not going to come cheap to anyone’s bank account even if you do get the wall in a smaller size. It goes without saying, but in such a huge TV with micro led tech where each pixel gives off their own color and with insanely bright imagery, the picture quality on the Wall is better than good. In spite of its largeness the Wall affords pretty sharp imagery, it makes you wonder what it can do with 8K resolution than the 4K it comes with. Millions of people are suffering from variety of eye disease one such popular eye deteriorating condition is myopia. But a team of researchers from Brisbane has successful developed the next gen contact lenses which can help in changing the loss of eye sight in the long run. This new contact lens has been developed with the partnership between the world’s largest contact lens manufacturer Johnson & Johnson Vision and Queensland University of Technology’s professor Michael Collins. This helped in boosting the research being conducted by the professor into myopia and helps in enhancing the contact lens design to the next level. This enhanced contact lens is a result of the 20 year collaboration between these two in which 12 years will be given towards supporting the university’s research program for the global myopia epidemic. Professor Collins has stated that this collaboration will help them in understanding the development as well as the progression of myopia. It is worth noting that there are more than two billion are suffering from myopia globally and it affects almost 4 million people in Australia. Currently the team of researchers are working towards finding better strategies to slow and stop this disease before finding a perfect way to prevent it. In upcoming next few years they will be focusing on developing new optical designs specifically for the next gen contact lenses which has the potential to slow down the eye growth. What is myopia and how it affects you? Myopia or nearsightedness is one of the most common ‘refractive error’ for the eye. It is caused by the eyes growing too long eventually resulting in reproduction of blurred images. In this condition people have difficulty reading and seeing distant objects clearly but they are able to see the close up things well enough without any issues. People suffering myopia will have huge difficulty in reading signs too far away like billboards, road signs but reading books will be a simple task for them and in some cases using computer wouldn’t require spectacles. 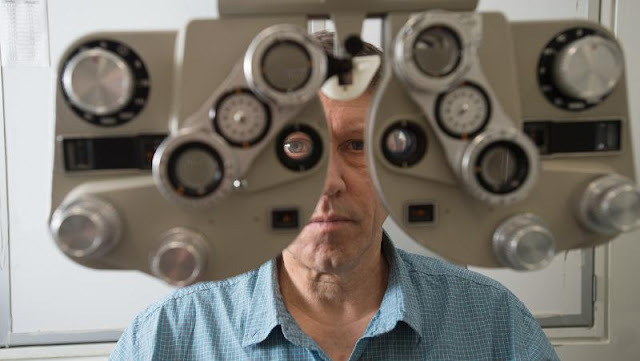 Professor Collins has asserted that his research isn’t just focused towards reducing and preventing the rise of myopia but towards helping people in seeing better and clearer than ever before. It should be noted that the people suffering from myopia area more likely to develop other eye problems as they get older. They are at the risk of contracting eyes problems like retinal degenerations which can eventually lead to the partial blindness. Therefore it becomes vital to slow down the myopia progression right at the younger age. He even states that the two main causes of the myopia are genetic risk and environmental causes. People who happen to do a lot of near work like reading, spending time indoors, or looking at the computer screens longer duration are likely to develop myopia. This next gen contact lens will help the people suffering from myopia to start their way on the road to slow progression rather than sharing the risk of partial blindness in later years.